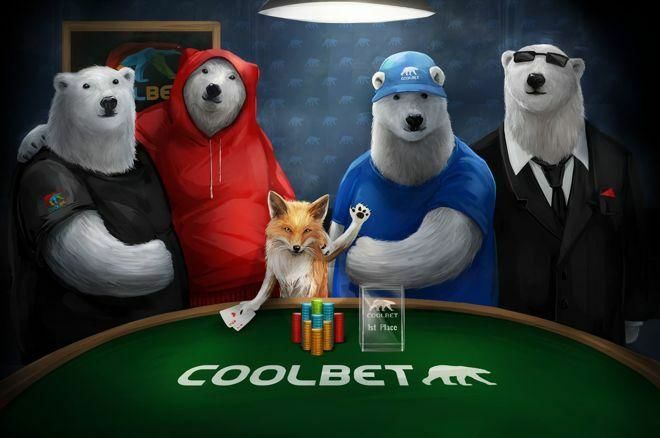 The Coolbet Open Main Event is expected to feature at least a €200,000 guaranteed prize pool. The second-ever Coolbet Open is just around the corner, hosted by the Olympic Park Casino at the neighboring Hilton Tallinn Park in the Estonian capital of Tallinn on Oct. 16-21. The first event took place in May, and the buzz was felt throughout the festival with 27 action-packed tournaments. The upcoming festival is bound to be even more exciting with the schedule expanded to 31 tournaments. As was the case in May, expect the Coolbear to be trotting around and players laughing and enjoying themselves throughout the festival. Many celebrities and Coolbet sponsored players have confirmed their attendance to the festival including former footballers Joel Lindpere and Bent Skammelsrud, basketball player Martin Müürsepp, singer Kim Herold, and Norwegian celebrity Audun Sørseth. The festival kicks off on Oct. 16 with welcome drinks and entertainment at 7 p.m. EEST. 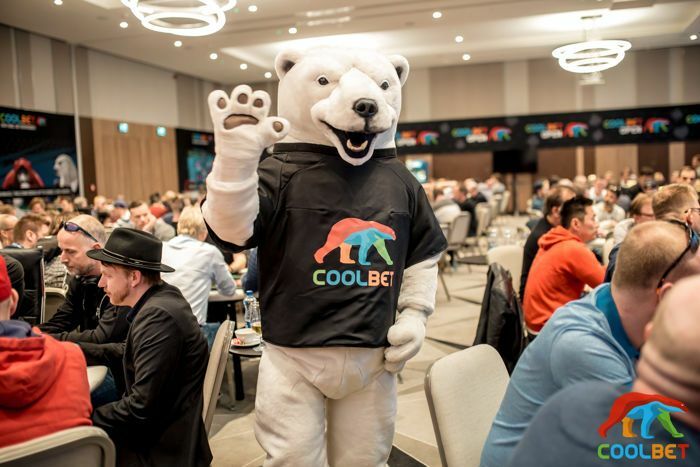 The opening day also features four tournaments including the Coolbet €220 WarmUp Event, which will award two seats to the Coolbet €550 Main Event. The Main Event kicks off its two opening flights on Oct. 17-18. The tournament is a deep-stacked affair with players starting with 30,000 in chips and blind levels starting at 45 minutes before increasing to 60 minutes in length. Players will have plenty of chances to build a massive stack not only because of the great structure but thanks to the tournament allowing unlimited reentries until the end of the first blind level on Day 2 on Oct. 19. Players surviving the penultimate day will compete for one final day on Oct. 20 until a winner is crowned. The tournament is expected to be massive with festival organizers estimating a prize pool of at least €200,000. Sebastian Wahl wins first-ever Coolbet Open Main Event. In May, Finland's Sebastian Wahl outlasted a field of 425 entrants to win the top prize of €50,100 ($60,267). At the time, this was easily Wahl's largest cash. However, last month he eclipsed this when he won the 2018 Fennia Grand Slam €1,100 No-Limit Hold'em event for €100,931 ($117,047). Wahl faced a difficult opponent heads-up in Dutch player Sander van Wesemael, who claimed the runner-up prize of €33,000 ($39,637). 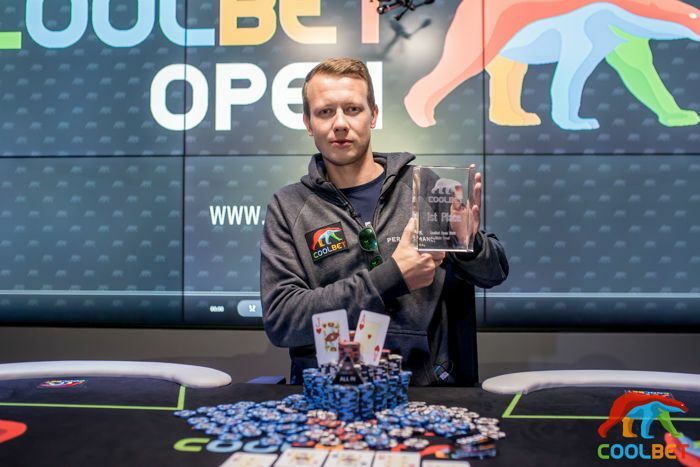 Van Wesemael and Wahl will be back in Tallinn for the upcoming Coolbet Open thanks to the top 10 finishers in the Main Event getting awarded a Coolbet Open package on top of the prizes they won. One event Norwegian players will have their eyes on is the Kommunepoker extravaganza. The event is down to the final two tables and will be live streamed with hole cards exposed until a winner is declared. Players qualified for this event by playing against other players in their municipalities. To give an idea of how big this event was in Norway, more than 2,000 players competed locally in the more than 300 municipalities in the country. The final 19 players, one from each county, will now compete to become the country's champion. Among those competing will be Jon Kyte, who last year won the Nordic Poker Championships €2,200 Main Event for €240,000 ($282,363). PokerNews will be on hand to cover the Main Event from beginning to end including interviewing many of the players live on Facebook. In addition, Coolbet will be live streaming three days of Main Event coverage on Oct. 18-20, which we will embedded in our coverage. Are You Ready for the 2018 Seneca Niagara Falls Summer Slam?